Automobili Lamborghini S.p.A. is an Italian automaker and producer of luxury cars. They are based in Sant’Agata Bolognese. Their parent company is through the subsidiary . The company started in 1963 when manufacturing guru, Ferruccio Lamborghini wanted to compete with Ferrari. That’s when he founded Automobili Ferruccio Lamborghini S.p.A. It didn’t take long before the company received worldwide acclaim. Within the first decade alone, sales multiplied. Once the oil crisis hit, the automaker seemed to take a turn for the worst. Since then, they’ve had three owners: the Chrysler Corporation, Mycom Sedco and V’Power Corporation, plus the Volkswagen Group. Today, they are responsible for producing various sports car models and V12 engines used for offshore powerboat racing competitions. Ferruccio Lamborghini was born in 1916. He worked as a mechanic for the Royal Air Force throughout World War II before he started building tractors out of leftover military hardware. The tractor company grew rapidly, so he expanded into air-conditioning units and boilers in 1960. With all this success, he had lots of wealth. This led him to purchase many sports cars. In his collection was the Ferrari 250GT. That’s when the idea hit to own a car company for himself. He believed the was overly noisy and too rough to drive like a road car. He thought they rode like a repurposed race car. In just four months, he created and built the first Lamborghini car, the 350GTV. This later became the 350GT with a few alterations. 120 of the first 350GT were made. It featured a 3.5-liter V12 engine, five-speed manual transmission, and produced 270 horsepower. The 0-62 mph time was 6.8 seconds, which proved to be impressive in that day. The revised 350GT became the 400GT just a few years later, in 1965. Gian Paulo Dallara, a chassis engineer from Italy, modified the V12 engine. The displacement rose to 3.9-liters and the horsepower bumped up to 320. During the Geneva Auto Show of 1966, the 400GT 2+2 was unveiled. It was a stretched out version that had 2+2 seating and a revised roofline. This was so well received that the company grew the factory in Sant’Agata to 170 employees. They also created the P400 prototype. The vision was to create a road car that also had a racing pedigree. They wanted it to win races and also drive down the road by enthusiasts. This went into production and became the Miura. The Miura had a transversely mounted 3.9-liter V12 engine and 380 horsepower. It also featured power windows, bright chrome trim, and air conditioning as an option. There was a total of 764 Miuras produced. The 400GT saw a replacement in 1968 named Islero. It featured a 3.9-liter V12 engine which produced 325 horsepower. The car was also paired with a five-speed transmission, independent suspension plus disk brakes. It didn’t attract buyers the way that Ferruccio thought it would and ended up only selling 125 units. Then, they designed a four-seater, the Espada. It had the 3.9-liter V12 engine and 325 horsepower, just like the Islero. It was, however, the first Lamborghini that offered an automatic transmission option. There were 1,217 sold, making it the most successful model up to that point. The Jarma was released in 1970. It had a shorter platform than the Espada and came in two varieties: the GT with 350 horsepower or the GTS with 365 horsepower. That same year, they unveiled the 2+2 Urraco mid-engine coupe. It wasn’t until 1973 that the first Urraco was produced. There were three version options, the P200 (entry level) featuring a 2.0-liter V8 and 180 horsepower, the P250 powered by a 2.5-liter V8 engine and 217 horsepower, or the P300 which came with a 3.0-liter V8 engine and 247 horsepower. A total of 791 were produced. Lamborghini felt the 1973 oil crisis, as did most high-performance vehicle companies. To compensate for the losses, Ferruccio sold off 51% of the company to Georges-Henri Rossetti, his long-time friend and Swiss businessman. This sold for $600,000. One year after that, the remaining 49% sold to Rene Leimer, a friend of Rossetti. This meant that Ferruccio severed all ties he had to his tractors and his cars. From that time on, he resided in his estate in Perugia until his death. Then, in 1974, the Countach was unveiled. It produced 370 horsepower and was equipped with the 4.8-liter V12 engine. That motor was later upgraded to a 5.2-liter and given four valves per cylinder. The company rebadged it the 500QV. The power jumped up to 449 horsepower with a 0-62 mph time of 4.9 seconds. During the company’s 25th anniversary in 1988, they released a special edition. Then, the Jalpa was released in 1981. It was less expensive than the company’s Countach and featured a 3.5-liter V8 engine with 255 horsepower. Later, in 1988, when Chrysler owned the company, they halted production of the Jalpa. During 1986, they launched the LM002, their first four-wheel-drive SUV. It was nicknamed the “Rambo Lambo,” and had an aggressive look. The 5.2-liter V12 engine came from the Countach. This model lasted through 1993 and sold 328 units. In 1990, the Diablo made its appearance. It had a 5.7-liter mid-mounted V12 engine that produced 492 horsepower. Just three years later, they added the VT version which featured four-wheel-drive. Then, a special-edition model, the SE30, was released in 1994 to celebrate the company’s 30th anniversary. This new version offered 523 horsepower. As Audi took over the company, the Murciélago started production. It was the first-generation 6.2-liter V12 producing 572 horsepower. In 2004, they introduced a roadster version. Then, in 2009, they released the LP 670-4 SuperVeloce with 661 horsepower. This car had a 0-62 mph time of just 2.8 seconds and a top speed of 214 mph. 350 of these sold. During 2011, they revealed the Aventador. It was powered by the 6.5-liter V12 engine and featured 700 horsepower. This supercar hit 0-62 mph in 2.9 seconds with a top speed of 217 mph. There was then a Roadster variation created in 2012. 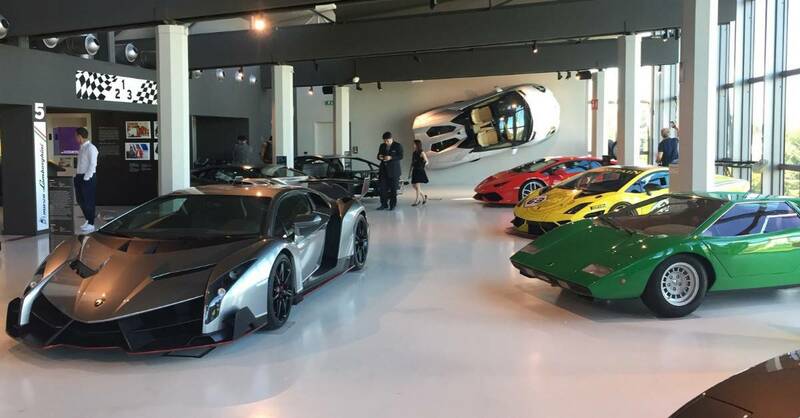 As a special 50th anniversary creation, they created three Veneno vehicles. They were based on the Aventador but produced 740 horsepower. Since 2014, the company has produced the Huracan as well. It featured a naturally aspirated 5.2-liter V10 engine and 602 horsepower. The car is mid-engined to improve the performance and balance. This supercar offers a 0-62 mph time of 2.5 seconds. Starting in 2017, they also began producing the Urus SUV. This Lamborghini SUV features a 4.0-liter twin-turbo V8 engine and 641 horsepower. With a 0-62 mph time of 3.6 seconds and a top speed of 190 mph, this is one of the fastest production SUVs ever. The Asterion LPI 910-4 was a concept car that they unveiled at the 2014 Paris Motor Show. It was their first hybrid vehicle featuring a mid-mounted V10 engine and 602 horsepower. It had twin motors located on the front axle and a Lithium-ion battery pack. This combined power produced 296 horsepower. 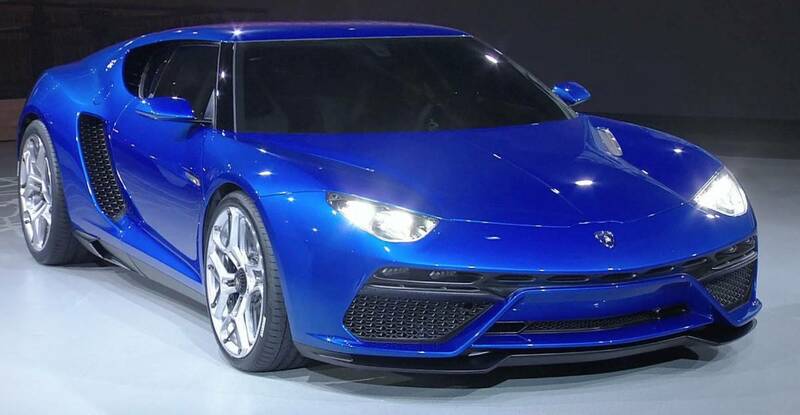 The Asterion never made it to production because the company wanted to focus on delivering the Urus instead. The company discovered that their customers were only interested in hybrid technology if it was going to add performance. Clearly, there aren’t going to be extensive crash testing performed with high-dollar supercars. With that said, there is little information from reputable sources about the way a Lamborghini holds up in a collision. During recent years, there have been plenty of owners who’ve come forth to say that the carbon fiber tub in current models has saved their life during an accident. Lamborghini offers plenty of safety equipment while still maintaining a lightweight, agile vehicle. They have some of the latest driving and safety technology systems, each tailored to their customer’s needs. There are three Advanced Driver Assistance System packages available on new vehicles. They are Urban Road, Full ADAS, and Highway. This allows the driver to pick based on their driving preferences. In addition, the carbon-fiber body surrounds passengers with a safety cell. This allows the crumple zones to take all the energy during a collision. The Electronic Stability Program prevents spinouts. It applies selective braking to certain wheels when needed to keep the driver under control. In addition to some basic safety precautions, they also offer knee airbags. This helps passengers who would otherwise submarine under the seat belts while sitting in a reclined seating position. Even though Lamborghini produces so few vehicles in comparison to other manufacturers, they still have their share of recalls. In 2012, 144 Aventadors were recalled because the headlights could blind oncoming traffic. Then, in 2013, 404 2006-2010 Murcielago vehicles plus another 263 2007-2009 Gallardo cars were recalled. The carbon ceramic brake discs were prone to having the screws falling out causing the brakes to fail during operation. In 2018, 1,700 2012-2018 Aventador vehicles were recalled because the engine could stall during certain driving conditions. Most of the time it occurred when the accelerator pedal was released below 2,000 RPM and the transmission was downshifting. Again in 2018, a safety recall for the 2015-2016 Aventador occurred again. This involved the center bolts which attach the brake assembly to the wheel hub. If the bolts became loose, it caused the brake rotors or calipers to collapse and the wheel to come off. Only eight models in the United States were included. Those who purchase a Lamborghini normally have their sights set on the vehicle for a while before leaping. For that reason, they are more than satisfied with the car once they have it. Looking at impartial data also shows that many of the Lamborghini models are quite reliable, especially since being taken over by Audi. The Gallardo, for instance, despite no longer being in production, maintains a strong reputation for being a reliable supercar. It also holds a high rate of customer satisfaction. On later models, most owners spend about $800 through $1,200 each year on maintenance. Considering how much was spent on the car itself, this seems very reasonable. The biggest thing is ensuring that the maintenance was completed. If you purchase a used model and there are no records, you might find yourself with a mess. Lamborghinis need regular maintenance to run efficiently. Buying a new model is always best, but if used is the only option, ensure it was cared for. The company is known for naming their vehicles after Don Eduardo’s famous line of bulls. Some of the most famous names include Miura, Islero, Diablo, and the Urraco. Other legendary bull names include Murciélago, Gallardo, and Reventón. There were some vehicles named after other things as well. The Espada referred to a sword or the bullfighter. The Jarama referenced a historic bullfighting area in Spain. The most exciting story is about the Countach which was a Piedmontese expletive that was uttered when a stylist first saw the prototype. Lamborghini is a wholly owned subsidiary of Audi. Their registered name is Automobili Lamborghini S.p.A. They control four other subsidiaries: Ducati, Italdesign Giugiaro S.p.A, MMLS.p.A, and Volkswagen Group Italia S.p.A. Currently, Stephan Winkelmann is the President and CEO of Automobili Lamborghini. The company’s headquarters is located in Sant’Agata Bolognese, Italy. At the end of 2016, the company had 1,415 employees. Sales have continued to grow through the years with the most important markets as the United States and Germany. Before the Gallardo was produced in 2003, the company only shipped 400 vehicles each year. By 2011, that number rose to 1,711 vehicles. In the first half of 2018, they reported a total of 2,327 cars delivered to customers around the world. This was up 11% and gave the company a fourth consecutive record-breaking half year of sales. The Volkswagen Group is the parent company of Audi who is in charge of Lamborghini. That puts them in the same family as Ducati, Bentley, Bugatti, SEAT, and other automakers. Aside from the automobile manufacturing, Lamborghini participates in some other business ventures as well. Lamborghini Trattori is the Italian manufacturer founded in 1949 by Ferruccio Lamborghini. The company’s first models used discarded war materials for production. They featured a fuel atomizer used with the Morris engine. That allowed the tractor to start with gas, but then switch over to diesel. In just a few years, the company went from producing one tractor each week up to 200 each year. The L 33 debuted in 1951 as the first production tractor made entirely by the company. The only exception was the diesel-fuelled 3,500 cc inline 6-cylinder engine complete with the fuel atomizer. 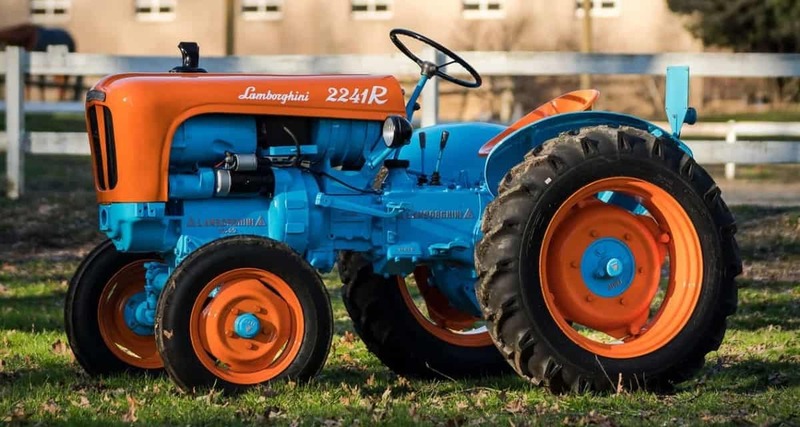 In 1952, farmers received an incentive to purchase Italian-made equipment, so Lamborghini tractors became popular. In that same year, there were four new models presented. The following year saw another two models. By 1955, they released the first Lamborghini crawler. Through the years they also opened a new plant, introduced the Lamborghinetta, and the 2R DT which was a series of four-wheel-drive tractors that used air-cooled engines. Through the 1970s and 1980s, the company released more innovative features as well as modular water-cooled engines. There were new ECUs and electronic injection adjustments for the tractor range. By the 1990s, they released a variety of mini-tractors. At the start of the 21st century, three more ranges began production: the R6, R7, and R8. In 2013, the Nitro tractor debuted with its renewed design and white casing. Because of this tractor, the company won the Tractor of the Year and RedDot Awards. Motori Marini Lamborghini produces larger V12 marine engines that are used in the World Offshore Series Class 1 power boats. During the 1980s, the company made a small amount of 1,000 cc sports bikes. They had an alloy frame, adjustable steering head angle, Ceriani front forks, Marvic wheels, and a Kawasaki GPz1000RX engine/transmission combination unit. They were designed by stylists from the company but produced by Boxer Bikes, a French manufacturer. Lamborghini licenses manufacturers to produce branded-items for consumers. These products include clothing, scale models, electronics, computers, and bags. 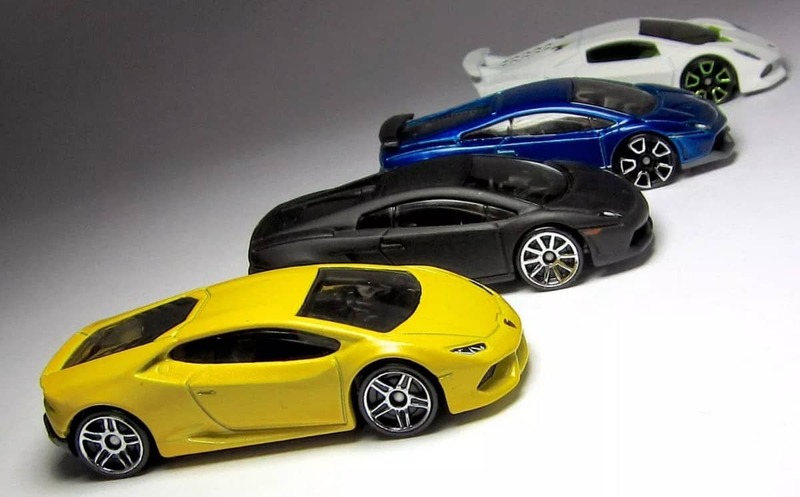 In 2017, the Lamborghini Hot Wheels collection launched. This had fans and enthusiasts racing to collect all eight in the series. They included a red Countach, black Sesto Elemento, white Estoque, and black Aventador. The other four models were the yellow Murcielago, silver Reventon Roadster, red Urus, and white Reventon. A popular thing for people to do when they want to impress others, or just feel the need for speed, is acquire a Lamborghini Rental. Over the past few years, this practice has become more popular, especially in tourist locations. There are many companies that offer the service, from your typical car rental brands to exclusive luxury car rental companies. It’s also simple to find private owners willing to rent their supercar for a price. Some of the most popular destinations in the United States include Las Vegas, Los Angeles, New York City, and various locations in Florida. Basically, anywhere that the weather is beautiful or there are people to impress, you’ll find Lamborghini rentals available. These rentals aren’t just for those looking to try out the car, but also for travelers who are used to driving their Lambo. Consider the superstar that travels overseas. They don’t want anything less for their trip than what they are already used to. For most companies, the driver must be at least 25 years old and have a pocket full of money. The client must also have a valid driver’s license, insurance, and a hefty security deposit. Rental periods start at just a couple hours and are available for weeks on end. The bull on the logo is representative of the Taurus, the founder’s sign. Aside from that, Ferruccio was genuinely interested in bullfighting, as you read in the nomenclature. There are many people that felt Lamborghini modeled his logo to look like Ferrari’s. The shape of the logo shows a shield plus features a golden bull. This animal stands for fortitude, power, and consistency. Interestingly enough, Lamborghini doesn’t use the Italian colors on the symbol as many other Italian automakers do. Instead, they choose to highlight the bull in gold. This depicts wealth and excellence. The black in the logo stands for prestige, integrity, elegances, and power. The Lamborghini price lowers the market of people looking to make a purchase. Because modern cars range anywhere from $300,000 to $4.5 million for the Lamborghini Veneno Roadster, there are only so many people that are the target market for this classification of vehicle. Lamborghini works to reach that group of people. They also manufacturer and license many goods with their company’s brand name. This includes laptops, bags, electronics, accessories, and clothing. The company also maintains a museum for more publicity. The Lamborghini Winter Academy works to teach others how to drive the Lambo in the scenic Alps. This mixture seems to work best for the company considering they don’t engage in television commercials or promotions. Considering it’s not an everyday product, print ads don’t seem like the right course of action. Instead, they focus on creating a loyal customer base. Despite the Lamborghini vs. Ferrari rivalry, Ferruccio decided early in his career to avoid factory-support racing. He viewed motorsports as draining and expensive. This was an unusual stance in an era when most sports car companies wanted to showcase their superiority through racing. This policy created tension between the engineers and Ferruccio. That’s when Stanzani, Wallace, and Dallara devoted their personal time to develop the P400 prototype. Once Ferruccio heard of the project, he gave the trio the okay to market it while insisting it still wasn’t allowed to race. 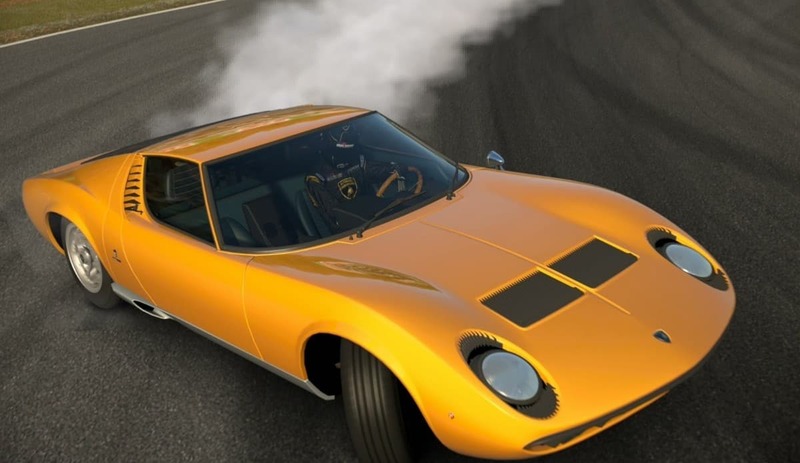 This car became the Miura. The company came close at times to building a race car. Prototypes were developed by Bob Wallace, a factory test driver. These include the Jarama S “Bob Wallace Special” and the Jota, based on the Miura SV. During 1985, the Countach QVX was developed in partnership between Lamborghini’s importer in Britain and Spice Engineering. The Countach QVX planned to race during the 1986 Group C Championship Season but lacked sponsorship. The company started supplying engines to Formula One racers. This lasted from 1989 until 1993. Some people they supplied to included Lotus, Larrousse, Ligier, Modena, and Minardi. The Larrousse-Lamborghini is known for spitting oil out of the exhaust systems. The best the company ever achieved was when Larrousse took a third-place finish during the Japanese Grand Prix in 1990. During 1991, they created a motor for Formula One. The Konrad KM-011 Group C sports coupe only went a few races and the project got canceled. The also created two Diablo racing versions. They were used during the Diablo Supertrophy of 1996 through 1999. They also created the company’s Murciélago R-GT for production racing in the FIA GT Championship. This also raced in the American Le Mans Series during 2004 and the Super GT Championship. Their highest ranking was third during the FIA GT Championship held in Valencia. Museo Lamborghini is the two-story museum located at the headquarters. It covers the Lamborghini history and heritage of their car and SUV lineup. They also showcase many of the vintage and moderns vehicles. There are full displays of the critical milestones, history through photos, engines, and cars for the visitor to enjoy. It’s possible to tour the museum virtually thanks to the help of . This allows people to visit the Italian museum without ever leaving their home. They also run the Museo Ferruccio Lamborghini. It’s located in Argento and showcases the connection to the Ferruccio family. Many of the early cars and prototypes are on display at this location. Once a customer finds a Lamborghini for sale that they’re interested in, the next step is to deal with Lamborghini Financial Services. They offer solutions for leased vehicles or purchases. In addition, they supply superior support to consumers and guide users through their selection. They even have some options for buying a used Lamborghini. The flexible financing and leasing options create the perfect experience for the consumer. They have complete support through the entire process. Services provided cover Canada, the United States, China, Australia, Singapore, Japan, Germany, France, Monaco, Italy, Switzerland, Russia, the United Kingdom, and UAE. The company operates 135 dealerships located throughout 50 countries. This includes 32 locations throughout the United States. The United States is the largest market, selling over 1000 units each year. After the United States, other leaders include Japan, Germany, UK, the Middle East, China, and Canada. 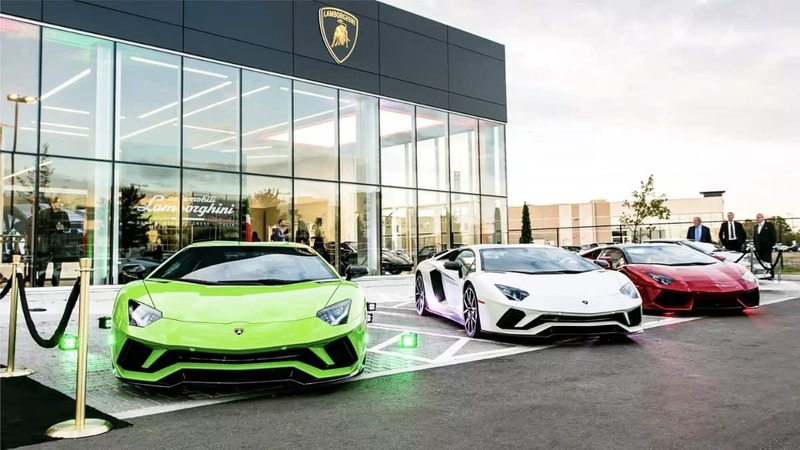 The company utilizes two types of dealerships to market a Lamborghini on sale. The first is the official dealerships recognized by the automaker. The second variety is smaller and utilized to sell the used types of sports cars. A dealership costs several million dollars to set up initially. At these locations, service is also present and available to customers. In the United States, there are currently two dealerships in the state of Washington plus another six in California. Following in second place for the most locations is Florida with five locations. There are three in New York, two in Texas, and two in Chicago. Other states that have dealerships include Nevada, Arizona, Colorado, Missouri, Michigan, Ohio, Georgia, Maryland, Pennsylvania, and Massachusetts. 1 – The Italian State Police uses two Gallardo models for delivering organ transplants to waiting patients. 2 – During the 1960s, people such as Rod Stewart, the Saudi King, plus Frank Sinatra owned a Miura. Sinatra had an orange model that featured wild boar skin seats and orange shag. He said that people who owned a Ferrari wanted to be someone, but those with a Lamborghini were already someone. Today, people like Jay Leno and Nicholas Cage own one. 3 – The design for the Aventador came from an insect that smells bad when stepped on. Inspiration also came from the F22, F35, and B2 fighter jets. 4 – It’s possible to drive like crazy inside a ski resort. The Lamborghini Winter Academy teaches drivers how to enjoy a Lambo featuring up to 700 horsepower in the Alps. During the winter, customers travel to an area covered by ice and snow. Most people find it to be relatively inexpensive unless you damage the supercar. 5 – The company built the first Dodge Viper engine in the eighties. This occurred when Chrysler owned them. Instead of using a truck motor for the sports car, Dodge asked Lamborghini to cast a prototype with an aluminum version. They never used it for production, but the Lambo powered Viper is out there somewhere, locked away. What was the First Lamborghini Car? The first Lamborghini tractor to be made entirely by the company was the L 33, but the first Lamborghini car was the 350GTV – a car built to surpass the Ferrari 250GT. How Fast is a Lamborghini? The fastest title goes to the Aventador SV (Superveloce). It featured a 2.8-second 0-62 mph time, making it close to being the fastest production car ever built. In only 10.3-seconds, it accomplished the quarter-mile. It’s no longer in production. The company creates numerous vehicles that break speed and lap records aside from this vehicle. Who Owns Lamborghini? Their current owner is Audi who falls under the Volkswagen Group. They’ve been part of the group since 1998. Where is Lamborghini Made? The factory headquarters resides in Sant’Agata Bolognese, Italy. In 2017, the company expanded the site from 861,000 square feet to 1.7 million square feet. Is Lamborghini Faster Than Bugatti? When comparing the two on a race track, the Lamborghini Aventador SV would win, considering it’s one of the fastest models ever made. The makers created it to be fast on the race track and have a short lap time. The V12 engine produces almost 750 horsepower. When comparing the two brands on a straight line, the Bugatti Veyron Super Sport would win. It’s a Guinness World Record Holder for top speed and does about 268 mph. This comes from the W16 engine and 1200 horsepower. Does Lamborghini Still Make Tractors? Yes. The Lamborghini Trattori Company falls under the Same Deutz-Fahr Company now, but they continue to produce tractors featuring the company logo and name. The have some of the fastest tractors in the world. Are Lamborghinis AWD? Throughout their years, the company created many supercars with AWD. The newer models include several options with AWD standard. They are the Aventador S, many of the Huracans, plus the more modern Urus SUV. Their SUV model’s AWD utilizes a standard four-wheel-drive system that most people feel comfortable with.